Psoriasis is a dry skin complaint, that tends to affect about 2% of the population. It can start at any age but is more common in people under the age of 35 years old. Males and females are both equally troubled by the skin condition. The complaint is not contagious and it is believed by doctors to be genetic. As evidence shows that in most cases, a family member also has the skin condition. The symptoms do vary from person to person. And in mild cases (80%), the skin is dry, rough, red (inflamed), itchy and covered in silver scales. Whilst in bad cases the skin may be weeping, blistered and bleeding. Constant scratching causes the skin to split and bleed. And if left untreated, this can expose the wounds to infection. The disorder can affect any part of the body but in nearly all cases, it’s the elbows, knees, stomach, scalp and back that are troubled. People who suffer from psoriasis often feel very self-conscious and have low self-esteem due to the physical symptoms. This can lead to stress that is known to aggravate the condition. Psoriasis is caused when the body’s immune system attacks the healthy skin. The doctors don’t fully understand the reason for this. Although, it’s believed to be triggered by daily activities and environmental irritants. Such as Chemical-based products that remove the natural oils from your skin. Our Skin Care experts can help you to identify your triggers and help you to manage your condition. Finally, Psoriasis is currently not curable, but it can be managed, with a daily skin care routine and treatments. Our experience is that by using the right products for your skin. In addition to a good daily skin care routine along with regular treatments, the condition can be made more comfortable. 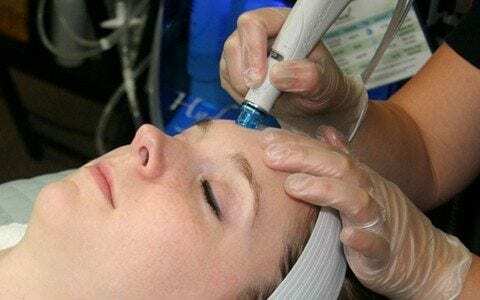 HydraFacial –This non-surgical procedure delivers instant results with no discomfort or downtime. The treatment initially removes debris and hydrates the skin while encouraging the natural replacemnt of oils. 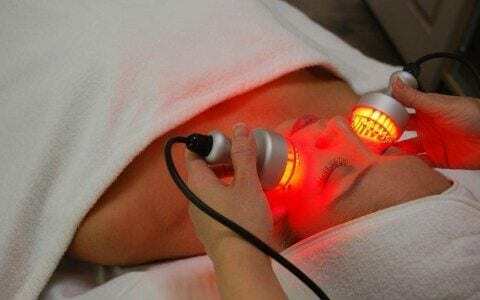 Red LED Light Therapy – An effective treatmentfor skin rejuvenation and healing. The Red LED light has a powerful anti-inflammatory properties that help reduce the imflamation in the skin and promote natural healing.